Happy Valentine’s Day from Connection Salon! Give the One You Love a Gift that Keeps on Giving! The best gift is one you don’t have to think about, like a gift certificate with their favorite hair stylist, nail tech or skin therapist!!! Check our website for the full list of Services we offer! Did Somebody Say Make Over!? This entry was posted in Uncategorized and tagged Aveda, aveda hair salon, best waxing in chicago, body waxing, Brazilian Wax, chicago salon, Connection Salon, Connection Salon Chicago, Dermalogica, event hair, event makeup, eye makeup, eyebrow shaping, Eyebrow Waxing, february promotions chicago, free eyebrow waxing, french bikini wax, gift certificates chicago, make over, monthly deals, monthly promotions, nail polish change, shampoo blowdry, Skincare, ukranian village salon, ukranian village spa, updo, Valentine's day chicago, Valentine's day gifts, Waxing on January 29, 2015 by admin. Happy New Year from Connection Salon!!! Happy New Year from Connection Salon!!!! Start the New Year Off Right with These Treatments! Dermalogica means RESULTS in more ways than one! Maintaining results at home is crucial after your professional treatment. Whether you are trying to find a system that works for your everyday needs or are trying to accelerate your existing regimen with more advanced treatment products, Dermalogica has something for everyone regardless the skin condition or environmental factors. Skin changes, products change… maintenance is key.. 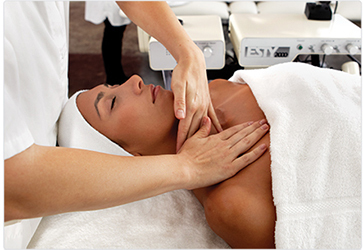 Check our website to see all the Facial Treatments we offer and details. Receive a Professional Aveda custom hair treatment with any hair color service. This entry was posted in Uncategorized and tagged aveda hair color, aveda hair treatment, chicago salon, clear skin, Connection Salon, Connection Salon Chicago, Dermalogica, Facial Treatments, hair color service chicago, healthy hair, healthy skin, manicure, microdermabrasion, Mini Facial, nail treatments, no chip manicure, pedicure, Ukranian Village, ukranian village salon on January 29, 2015 by admin.